We have in our living room two recliners upholstered in a distinctive shade of gray leather. They are most definitely gray but border on green and blend perfectly well with a multi-colored floral sofa of sage, rose, teal, gray-blue and cream. Trying to find fabric for matching throw pillows has been a trick and made me think of my sister’s insistence our brother’s old gray Chevy was green. There truly are many shades of gray. When I worked in an architectural office, I learned about warm and cool gray mortars. The warm ones, generally, are shaded with brown. The cool ones are shaded blue. I think our green-shaded gray chairs are also on the cool side. We were taught in science that white is the presence of all colors and black is the total absence of color. In art class, we discovered a mixture of all colors created a dark, muddy mess of ugly gray. This seems like a contradiction. In fact, the color white has the ability to reflect all colors from the light hitting it and black has no reflective quality. The true color is in the light, not the pigment. 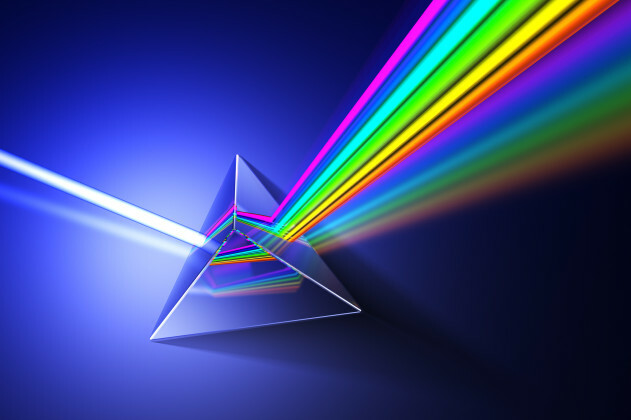 We see this in a prism, which separates the colors so we can see them. In the Hebrew and Christian scriptures, white represents righteousness, not because of the person’s ability for purity but because he or she reflects God’s goodness. By definition, we say “that’s a gray area” when speaking of something blurry or unclear, a mixture where black and white meet. Morally, we use it as a metaphor to express an inability to declare something as right or wrong. In reality, if we’re honest, only white reflects all light. If it isn’t pure white, it doesn’t reflect the colors of light accurately. It takes a substantial amount of black blended in to make the impurity discernible. If it’s gray enough to be called gray, it’s certainly not white anymore. If I may express an opinion here, the book title, Fifty Shades of Grey, by definition, tells me the words inside are something not capable of reflecting God’s pure light. I may be curious enough to read about it but I am not tempted to read the book. I have trouble enough already. I’m not really sure about our gray recliners being warm or cool or whether they’re best paired with blue or green, pink or cream. But I am completely convinced they are not white. This entry was posted in Short Takes on Life and tagged censored books, cool gray, moral choices, moral discernment, prism, Shades of Grey trilogy, warm gray, white light. Bookmark the permalink.